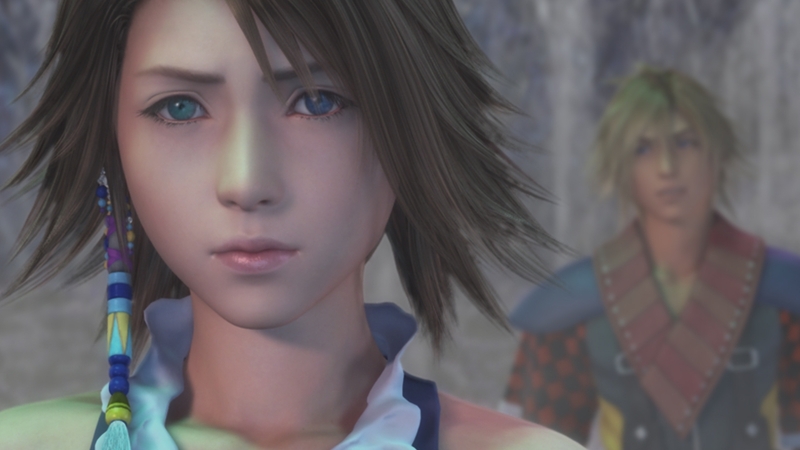 Final Fantasy X and X-2 get the HD treatment, but does it deserve it? When it comes to RPGs, there’s none greater than the Final Fantasy series. Sure, it’s had its share of downs recently with the not-so-well received FF 13 and the less said about the online launch for FF 14, the better. But now the MMORPG is picking up after an impressive re-launch, Final Fantasy Type-0 hit all the right marks and now one of the best entries is getting the HD makeover, Final Fantasy X and its sequel Final Fantasy X-2 for PS4. The story concerns Tidus, a blond-haired star of a sport called Blitzball. While he is playing in a match, Tidus’ city is attacked by an evil force called Sin, and everything is destroyed save Tidus and his guardian Auran. The adventure begins as they are somehow transported to another world. From here on, it’s standard Final Fantasy gameplay: fight battles, manage experience points, learn new powers and recruit a motley crew of non-playing characters to join your quest. It’s a great experience from start to finish and while the story isn’t on par with say, 7 or 8 it’s still memorable and well worth the effort. This isn’t just a HD remake of two Final Fantasy games; you also get Final Fantasy X: Eternal Calm which is a cinematic cutscene sequel to Final Fantasy X and a prequel to X-2, while players are also treated to the previously Japanese exclusive “Final Fantasy X-2 Last Mission” which takes place after X-2 and gives the X saga the sending off that it deserves, it also marks the first time it’s ever been in English so it’s well worth picking up just for that. In terms of making the games HD, Square-Enix has done a brilliant job in doing so. Spira has never looked so good, the character models and animations are improved and while it’s clear that the game started out on PS2, it looks great running at 1080p on PS4. Voice-acting is a mixed bag when it comes to Final Fantasy and X/X-2 is no different, but luckily you can switch between English and Japanese voices for the players’ preference. Finally, it’s worth pointing out that Final Fantasy X came out all the way back in 2001 and X-2 in 2003. The question I kept asking myself was “has it stood the test of time?” and I can say it has without fear of contradiction, sure it’s dated in some areas and it’s not the most memorable Final Fantasy game out there….but it’s still up there as one of the best and that’s all that counts. Final Fantasy X/X-2 HD Remaster is a great package for FF fans, bringing previously Japanese only content to the rest of the world is a very welcome addition. The two games and the Last Mission add-on have been given great treatment courtesy of the HD remake, Spira looks amazing and the X games are still highly enjoyable to this day, only now they feel more like a complete package and one that every Final Fantasy fan deserves. Good !|Cool! I love this blog.